Hello everyone hope you are all having a lovely day, Today's card is male themed and I used several different stamp sets to make it. I used 2 distress inks, Festive Berries and Iced Spruce. 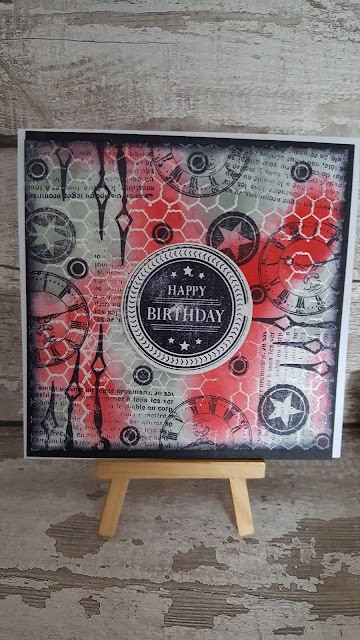 Hope you Like the card, I have a video tutorial on my You Tube channel and would love it if you would take a look.